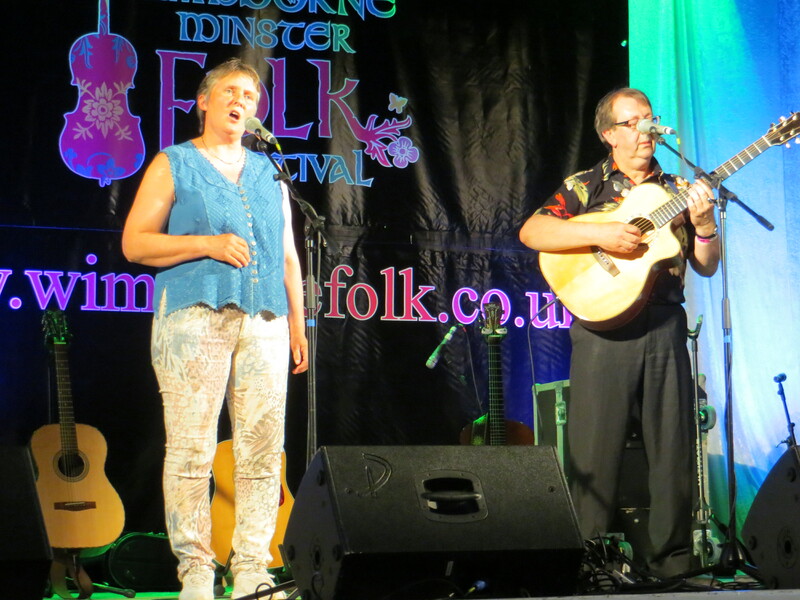 Well, there’s hardly been time for the car engine to cool down from our recent tour and here we are getting ready to head South again for our first visit to Uxbridge Folk Club on Thursday. Word has it that there’s a BBQ before the gig too – makes a change from the usual guitar burning bonfires that are spoken of after hearing Steve play ! On Saturday morning Steve will be at Newark School of Guitar Making doing his annual mentoring session with the students before dashing back on the train to Chelmsford ready for our evening gig which is at The Swan in Horndon on the Hill. Logistics doesn’t seem to be our strong point at the moment! Then it’s back on the road up to Belper in Derbyshire where we are very much looking forward to playing in the afternoon at Exile Music Festival. Bit of a shame really that we’ll miss our good friends, harmony trio Red Ruff who are highly original and great fun to be around. Unfortunately they’re playing at Exile on Saturday so if you’re planning to be there do check them out. On Tuesday we’re one of three acts that are playing at The Priory in Loughborough at a charity event called Live Acoustic Special. The event is organised by Howard Coleman and all proceeds go to Oxfam. Our final date this summer is in Farnham, Surrey where we’ll be playing at Brian Player’s Live Acoustic Cafe. This show is being recorded and will also feature Luke Jackson and Kara. Please note that this is an afternoon concert and it would be advisable to book tickets in advance. Any help spreading the word much appreciated. Thank you. This entry was posted in Uncategorized and tagged Belper, Brian Player's Acoustic Special, Derbyshire music festival, Exile Music Festival, Hicks and Goulbourn, Horndon Feast and Fayre, Kara, Live Acoustic Special, Loughborough live music, Luke Jackson, Red Ruff, Steve_Hicks_and_Lynn_Goulbourn, Uxbridge Folk Club by admin. Bookmark the permalink.